In the U.S., abortion is legal in every state, but access is dwindling. With a hostile administration in Washington, access to abortion for those who are young, low-income and/or rural has become impossible in many states. 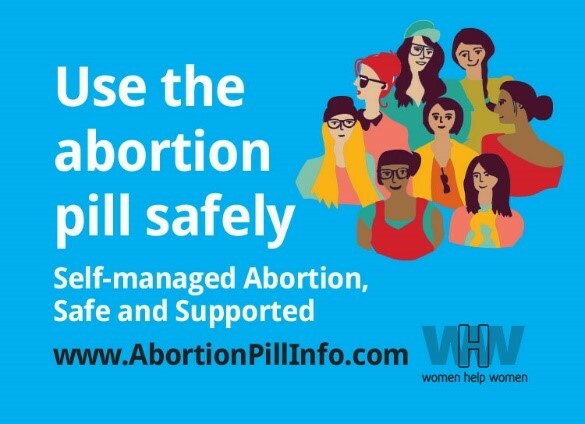 On April 27, 2017, in collaboration with allies and partners in the U.S., Women Help Women (WHW) launched SASS – Self-managed Abortion; Safe and Supported (SASS). SASS provides one-on-one support and information to women in the U.S. who choose to use abortion pills on their own through secure, online communications with trained counselors overseas. The SASS webpage include s information on how to use abortion pills, what to expect from the medicines, and how to ascertain if medical care is needed. SASS also gives information about clinics across the U.S. on resources for funding the procedure and practical support options (accommodation, travel support) for those seeking a clinic-based abortion. SASS is staffed by counselors from Women Help Women. WHW’s counselors are based on four continents and provide email counseling in six languages, 365 days a year, to women around the world who are using abortion pills. The counselors are supported by Ob-Gyn physicians who are experienced abortion providers, as well as by scientific advisors who are experts on medication abortion and research. WHW will engage expert researchers to measure the outcomes of the service and identify what other information might be gleaned about those contacting SASS for support. The current programmatic focus of SASS is to develop outreach strategies to reach those in low-income and rural communities who are most likely to have restricted access to services at abortion clinics. At the same time, SASS is working with allies across the country and internationally and advocates for new frameworks and policies that support the demedicalization and destigmatization of abortion. For more information about Women Help Women, please visit our website. Make a gift to support SASS. Your gift will be processed through Peace Development Fund, the fiscal sponsor of SASS, using Paypal. No Paypal account is required.